On July 20th, 2017 the world lost one of its most soulful and iconic voices and hearts. We found out that dreadful Thursday that Chester Bennington had died by suicide. We will forever mourn this great loss, but we will also remember the wonderful moments we were so privileged to be made part of and we will forever be grateful for the impact this man had on all of us and so many more. Chester, this page is for you. Our hearts go with you, wherever you are. It's odd, but, Chester's passing revived my interest in the LPF community and finishing stories which I had put on the back burner. I think it's because, even though I'd seen the writing on the walls for many, many years, I can't help but be devastated by what happened. 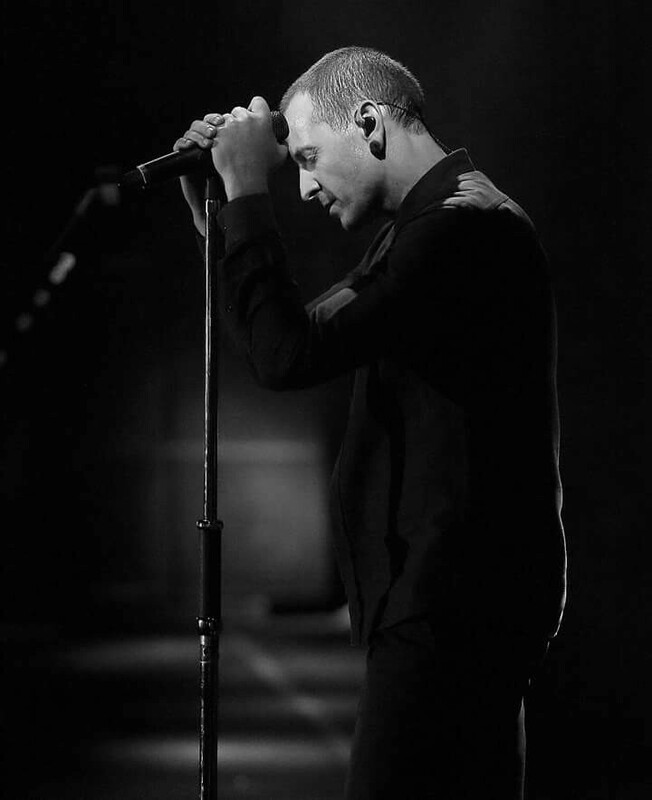 My personal opinion of Chester was not always positive, but I always respected his talent, and how deeply integrated he was into the band and their music. After watching the tribute concert, I saw just how impossible it was for them to perform without him. How are they supposed to continue as a band without Chester to go with them, in a physical sense? Back in early May, a dear friend of mine passed away due to a terminal illness. The only way that I could bring myself to cope with that loss, was to remind myself that even though he could no longer be around physically to influence us and his community, everything he had done while he was alive had changed us forever. The best thing I can do as his friend is pay forward the kindness, love and creativity that he poured into the world. I feel that us as Linkin Park fans, the band members, Chester's family and close friends, can pay forward his good heart and love of everyone around him. - A.N. I'll never forget where I was when I heard the news about Chester. In the middle of a summer work conference, I sat in shock at the notification that came through on my co-workers Apple Watch, the lecturer at the front of the room fading into the background as I frantically searched my phone for confirmation the news was just another celebrity death hoax. Then I came upon Mike's tweet, and I knew. Everything in my world came to a screeching halt, and I spent the next two days of the conference laying in my hotel room bed, listening to Linkin Park on my earbuds and mourning a soul I had never met. It became critically important to me that I attend the Hollywood Bowl tribute for Chester, to say my goodbyes and try to put a stamp of closure on a huge chapter of my life. I found that, while amazing in every way, that concert did not heal the wounds. Chester's passing has left a huge gap in my heart, the feeling that someone who understood me deeply was gone forever. "Numb" was the song that changed my life, that allowed me to become the person I wanted to be and taught me that nobody can look out for your best interests but you. "Don't Stay" was my divorce anthem, and "Given Up" has walked me through some dark times. For every different chapter in my life, Linkin Park, and more specifically, Chester's voice, his screams, have been there for me. I grew up with them and I don't know if I will ever stop thinking about how Chester held my hand through some of my darkest times. Like many here, I came back to LPF after years of being away, adult life having gotten in the way of reading fan fiction. Suddenly I found myself craving places where Chester was still alive, and this site has filled that gap. I've made two exceptional friends just from this site that are my Linkin Park kindred spirits, and I've found ways to express myself through writing that I am grateful for, more than words can express.